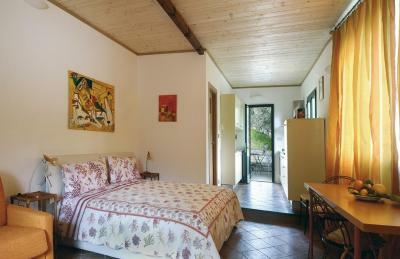 Lock in a great price for Agriturismo Buranco – rated 8.6 by recent guests! The staff was great and very helpful. Nice place to relax at the end of a very busy 2 week tour of France and Italy. Breakfast every morning was very good. Really enjoyed the excellent wines!! We had such a lovely stay and felt like a part of the family! This was everything we could have hoped for in a magical agriturismo stay. The wine is extraordinary and the staff is so kind. Thank you to Elia for the great hospitality! Buranco is such a beautiful place- we hope to return many times! The gardens , the view, the grounds are beautiful and the staff are lovely! Great day excursion for wine tasting too. Quiet for sleeping . Very friendly. Loved the location — gorgeous views. So nice to have wine and snacks on the beautiful flowered terrace. The winery is gorgeous and the view is spectacular. We were welcomed warmly and offered a glass of wine and appetizers. The wine is great and the hosts were very accommodating. Elia was very helpful, friendly and went above and beyond to help us cancel a day in Florence so we could stay an extra one there. I highly recommend staying here for the people and the beauty! The location was beautiful, quiet and the staff very nice! The location of the property and the setting is truly magnificent although parking and access is difficult. unfortunately that is where my praise ends. The location of this hotel is wonderful. 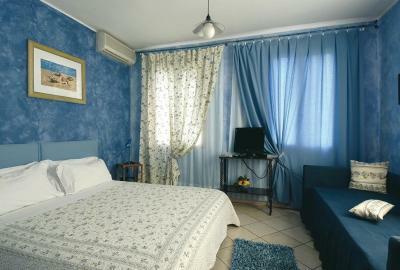 Just by the vineyards and a short distance from Monterosso, with its restaurants and its beach. The staff was particularly friendly and accommodating. Ensuring that we reached the property safely and offering a taxi service for our arrival. The suite was comfortable and spacious enough to welcome our little family with our one year old. Last but not the least, we warmly recommend the great wine available on the property! We had a very relaxing and enjoyable stay. Grounds were fantastic set in the vineyard / lemon and olive groves. Our kids loved the soccer field and bocce court. Our three bedroom apartment with rooftop terrace had a fantastic view. Staff was very friendly and attentive. Be sure to arrange in advance their help to get your bags from town to the agriturismo (unless you are looking for a good workout). They can do this easily with their small van. 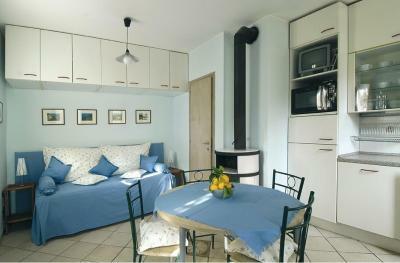 Agriturismo Buranco is set in a peaceful area in Monterosso, 650 feet from the sandy beach. 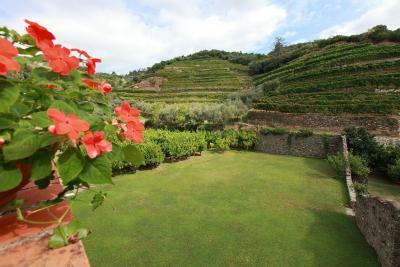 The property produces its own olive oil, wine and honey and has a wide garden with BBQ facilities. The air-conditioned studios and apartments feature a kitchen with dishwasher, dining area and private bathroom with bath or shower and hairdryer. A sweet and savory breakfast is served every morning. 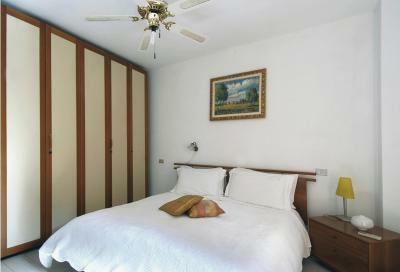 With free private parking, Agriturismo Buranco is 6.2 mi from Levanto. 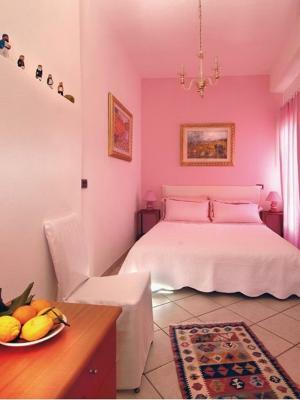 뀐 Located in the top-rated area in Monterosso al Mare, this property has an excellent location score of 9.4! 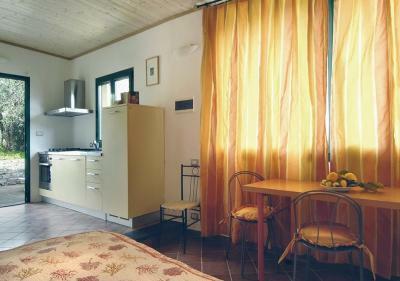 When would you like to stay at Agriturismo Buranco? This air-conditioned studio has a kitchen and bathroom with bath or shower. This air-conditioned apartment has a kitchen, 2 separate bedrooms and bathroom with bath or shower. 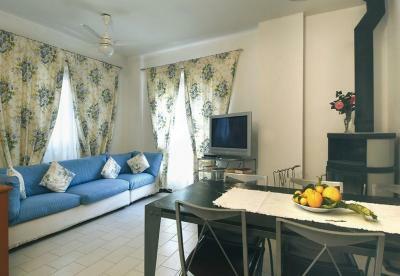 This air-conditioned apartment has a kitchen, 3 separate bedrooms and 2 bathrooms with bath or shower. House Rules Agriturismo Buranco takes special requests – add in the next step! Agriturismo Buranco accepts these cards and reserves the right to temporarily hold an amount prior to arrival. Please note that the use of BBQ facilities comes at a surcharge. Please inform Agriturismo Buranco of your expected arrival time in advance. You can use the Special Requests box when booking, or contact the property directly using the contact details in your confirmation. The apartment was old and tired; the bedroom with two shelves of stuffed toys made us feel like we were staying in a kids room. Breakfast was at 9:00am which is too late and the breakfast was good on day one but recycled on the other two days. Good location above the town and the recommended restaurants were good. The apartment is in need of update, particularly the kitchen. A few basics like salt and pepper and dish soap would help. Nothing it was a wonderful stay. Such a sensational location, Mari and her team so helpful and welcoming, wine and juice on arrival, helping with luggage and recommendations for places to eat etc. The steep hill when you walk back from the town. But it only takes few minutes. Very Friendly staff. Amazing view. Comfortable accommodation. Better breakfast — better and more coffee available. Some cheese, plain yogurt ( not just fruit flavored) WiFi in the rooms. The view was breathtaking. The patio was beautiful. It was peaceful away from the town and the tourists. Very Kind and friendly people which give us the feeling of home environments. Wine tasting, near to city, support for transferring the luggage, room size, Guidance for the city trip. The good feeling is much more than a price that we payed. I would surely visit this city again and would like to stay in same place. Thank you for everything and all the best wishes.